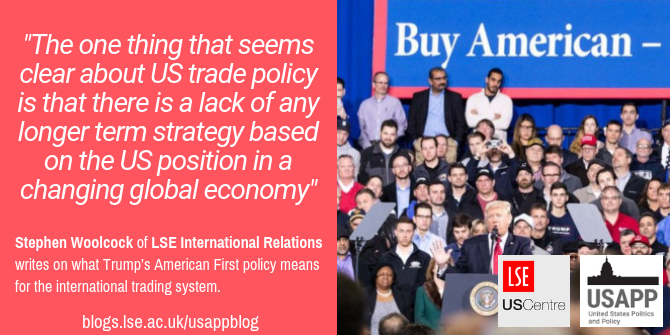 Whatever the reasons behind’s Trump’s new approach, we may be entering a period where US leadership on trade policy is a thing of the past. In moves that were seen as threatening to the global trading system by many international organizations, this summer the Trump Administration imposed or threatened tariffs on imports of steel, aluminum and cars and placed tariffs on imports from China. The response has been initiatives to bolster support for multilateralism, such as cooperation within the ‘friends of multilateralism’, a group of World Trade Organization member countries. 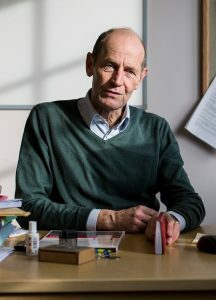 The statements calling for support for multilateralism and a strengthening of international economic cooperation from the International Monetary Fund (IMF), WTO, Organization for Economic Co-operation and Development (OECD) and the International Bank for Reconstruction and Development (IBRD) also reflect concern about the radical shift towards unilateralism in US trade policy. But how should this shift be understood? Here are four possible interpretations. The first interpretation sees President Trump as pursuing political objectives by delivering on campaign promises and getting a “better deal” for America. The analysis here is that US trade policy is shaped by political utility rather than economic rationality. The content of the deal is less important, but it should appeal to President Trump’s political base and to his own instinctive -classical mercantilist (where a country maximizes its own exports and minimizes imports) – view of the world. This sees the US as reverting to a unilateralist, more power-based approach to trade using a US definition of ‘fair trade’ similar to that used in the 1980s to address the trade deficit with Japan. In this the US Administration make use of discretionary powers it has under US trade law, such as Section 232 of 1962’s Trade Expansion Act which enables protection on the grounds of national security or Section 301 which is the legal basis for tariffs against Chinese imports on the grounds that the latter is disregarding of intellectual property rights. If the WTO’s rules get in the way then these will have to be changed. For example the US is blocking appointments to the Appellate Body and thus threatening to undermine the effectiveness of WTO dispute settlement as the previous Obama administration undermined the Chapter 20 dispute settlement provisions of NAFTA when decisions went against the US. A more positive spin on US negotiating strategy is that it is precipitating a crisis in order to get things done. In bilateral trade relations this takes the form of value-claiming by threatening to close the US market unless US trading partners make concessions. Hence the renegotiation of NAFTA or other agreements such as KORUS (the US Korea Free Trade Agreement) or that with Japan (in effect renegotiating the agreement with Japan the US had as part of the Transpacific Partnership or TPP). In the context of the WTO a major US aim is to change the norm by which WTO members can decide for themselves whether they are developing countries and thus avoid making commitments. Another aim is to remove the effective veto that emerging economies (particularly China, India and Brazil) have over the negotiation of agreements between small numbers of likeminded WTO members which are ready to move ahead. Alternatively current US trade policy can be seen as being essentially driven by the need to respond to the emergence of China as a major economic and political competitor. The more benign view of China that prevailed in the 1990s and 2000s has given way to one that sees China as a major threat to the US. Here one can identify an element of economic statecraft and thus more strategic thinking. But the immediate relevance to trade is that China is seen as unfairly supporting domestic industries, stealing western technology and thus robbing the US of jobs. Who is deciding on policy? What seems clear is that the US has turned against existing rules and reverted to a more power-based approach to trade policy. But the real question is whether this is short term or a more enduring trend and this in turn depends on the policy process in the US. A feature of the current policy is that decision-making occurs among a very small group of political appointees and President Trump. This is a paradox given that the populist support garnered in the Trump election campaign owed much to his argument that US trade policy was being taken by a (much larger) policy elite that included a range of economic interests and Congress. Populism is normally defined as action by the many against a self-serving political elite. 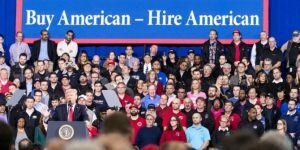 President Trump himself has consistently had an ‘America First’ view of trade which favors core manufacturing industries. The leading political appointees in the Trump Administration generally share this view and have developed their ideas on trade in the 1980s when the US was more able to wield the threat of market closure. Other interests and institutions that have traditionally shaped trade policy are not engaging with the change in policy. Private sector interest groups, which political economy models tell us determine US trade with their campaign donations, and which could be expected to be more concerned about the future role of the US in global competition, seem hesitant to challenge what most agree is economically damaging trade protection. 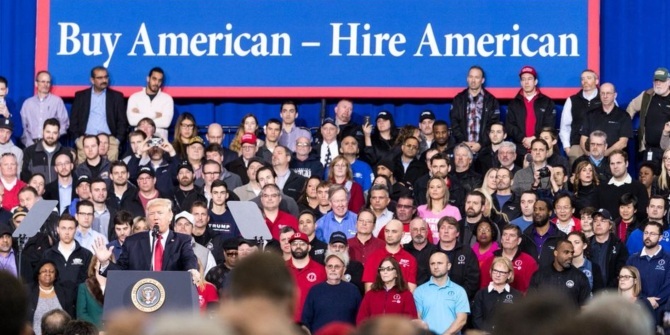 The tax cuts and deregulation introduced by the Administration, strong economic growth and a buoyant Wall Street are seen as counterbalancing the costs of the tariffs. Large global firms are less threatened by efforts to penalize trade with China, as they can switch to other production locations. The US Congress has also been silent. Broadly speaking this can be put down to the confusion created by the radical turn in policy and lack of consensus on how to respond. The Republicans have been happy with the tax cuts and deregulation measures. Members of Congress and Senators are wary of moving to oppose Trump because they fear retribution from Trump supporters in their districts or states. Only those not standing for reelection this November such as Arizona Senator, Jeff Flake, have been ready to express concern about the longer-term consequences of the policy. In Congress therefore the republican majority has blocked hearings or bills that could challenge the Trump administration. The Democrats have also been unsettled by Trump’s policies. The so-called progressive Democrats favor stronger provisions on labor and environment standards in trade agreements and are sympathetic to doing something for workers left behind by globalization. For this caucus the provisions in the revised NAFTA (recently renamed the US- Mexico-Canada Agreement) on labor have some appeal as does the general anti-globalization rhetoric of Trump to democratic voters in key states. The more ‘liberal’ Democrats favoring trade can do little by themselves. So how will things develop? 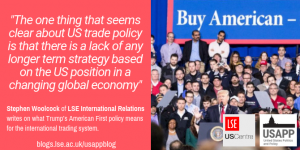 The one thing that seems clear about US trade policy is that there is a lack of any longer term strategy based on the US position in a changing global economy. In other words the action has been focused on ‘old industries’ rather than e-commerce, digital trade etc. If the analysis above is correct and current trade policy is being determined by a small policy elite around President Trump, the question is whether other interests will prevail more in the future. If so this would suggest a reversion to policies more consistent with the past. If the mid-term elections in November result in the Democrats regaining more control in Congress they will be tempted to deny Trump the opportunity to claim any ‘successes’. If the economy weakens, interest rates continue to rise, the stock market fairs less well and the adverse effects of protectionist tariffs are felt by more sectors, the private sector will return more to the debate and swamp any further adventurism. This would reintroduce checks and balance in the US policy process and more interests that support the retention of a rules-based trading system and multilateralism. What seems clear however, is that US trade policy is set to return to a more power-based approach in an effort to shape outcomes. The established rules are widely seen as no longer serving US interests. Equally important is that there is no clear consensus on the aims and scope of trade policy in the US. It should be noted that in this respect the US is much the same as a number of other major WTO members. The history of the US role in the world economy in the 1920s and 30s suggests that differences between internationalists and more isolationist forces in the US results in a lack of US leadership. Given the leading role the US has played in the establishing the General Agreement on Tariffs and Trade after World War II and its successor, the WTO, this will have quite profound implications for the trading system. Originally published by the London School of Economics under a Creative Commons Attribution-NonCommercial 3.0 United States license. This work is licensed under a Creative Commons Attribution-NonCommercial-ShareAlike 4.0 International License unless otherwise noted on individual pages. Our logo, banner, and trademark are registered trademarks and fully copyright protected (not subject to Creative Commons). See "Terms of Service" link for more information.